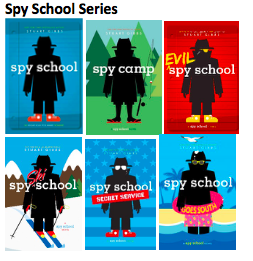 The Kent Gardens PTA is thrilled to announce that Stuart Gibbs–author of the Spy School Series, the FunJungle Series, the Moon Base Alpha Series, and the Last Muskateer Series–is coming to Kent Gardens on November 27, 2018. Bartsons Child’s Play is offering families a chance to purchase Stuart Gibbs books at a 20% discount. If you’d like to buy a book for your child, please fill out this form and send it and a check with your child by Tuesday, Oct. 30.